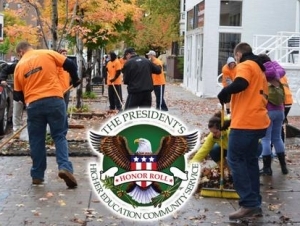 For the seventh time, Buffalo State has been named to the President’s Higher Education Community Service Honor Roll for its commitment to volunteering, service learning, and civic engagement. Inspired by the thousands of college students who traveled across the country to support relief efforts along the Gulf Coast after Hurricane Katrina, the honor roll highlights the role colleges and universities play in solving community challenges. Since 2006, the Corporation for National and Community Service (CNCS) has overseen the award in collaboration with the U.S. departments of Education and Housing and Urban Development, as well as the American Council on Education, Campus Compact, and the Interfaith Youth Core. The goal is to recognize schools that support exemplary community service programs and raise the visibility of effective practices in campus community partnerships. Buffalo State President Katherine S. Conway-Turner, who took the helm in August, has made it clear that community service is among her priorities for the college and is pleased to see the work already being accomplished here. "From tutoring children in our Community Academic Center to regularly participating in neighborhood cleanup projects, Buffalo State students, faculty, and staff faithfully give back to our community," said Conway-Turner. "They understand how each of our lives impacts the lives of many others. They understand that by giving a little of their time in community service, they can make a big difference in the lives of our neighbors. I am extremely proud to be affiliated with an institution filled with such empathetic, caring, and selfless individuals." Buffalo State’s Volunteer and Service-Learning Center (VSLC) handled the application process for the award, identifying 509,278 community service hours that students, faculty, and staff completed during the 2012–2013 academic year. Initiatives included three campuswide community service days, four student-led alternative break programs, five monthly service corps projects, an education award AmeriCorps cohort, and dozens of student group service projects, according to Laura Hill Rao, coordinator of the VSLC. Also, Buffalo State developed several ongoing projects to help the city’s growing refugee and immigrant population. "The Buffalo State Community Academic Center has greatly expanded the institution’s collaboration through a community-based office that provides youth and family programs on Buffalo’s West Side," said Rao. Additionally, Buffalo State now boasts 90 service-learning courses and dozens of academic department service projects. "Our faculty has become increasingly interested in service-learning opportunities," said Rao. 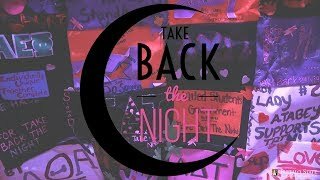 "We're seeing that in classes offered and projects taking place across campus." Buffalo State is among 18 schools within the State University of New York (SUNY) system named to the 2014 honor roll. "Participating in community service is an important part of any college experience and a hallmark of our strategic plan," said SUNY Chancellor Nancy L. Zimpher. "Each of our SUNY campuses has an astounding array of options for students, as well as faculty and staff to give back to their local communities, and to have a greater impact on communities across the country and abroad."